MONTRÉAL, September 10, 2018 – Bell Media’s out-of-home advertising division, Astral, announced today a new partnership with Campsite, a Montréal based leader in programmatic out-of-home campaigns. This agreement is set to add 240 Astral Digital large format and street furniture faces across Canada through Campsite’s programmatic platform. Launched in 2016, Campsite is a leader in innovative solutions for advertisers who want to expand their digital reach, optimize their strategies with data, and maximize their time by reaching several suppliers through only one platform. Campsite’s products include a Supply-Side Platform (SSP), an exchange and a Demand Side Platform (DSP). “We’re excited to join forces with Campsite to expand Astral’s programmatic possibilities,” said Karine Moses, President, Astral. “With this new partnership, Astral clients will be offered even more possibilities to access specific data and better target precise audiences to optimize their campaign results. Astral’s digital faces are strategically located in the biggest cities in the country and will allow brands to accompany their consumers throughout the day, from downtown to the highway”. 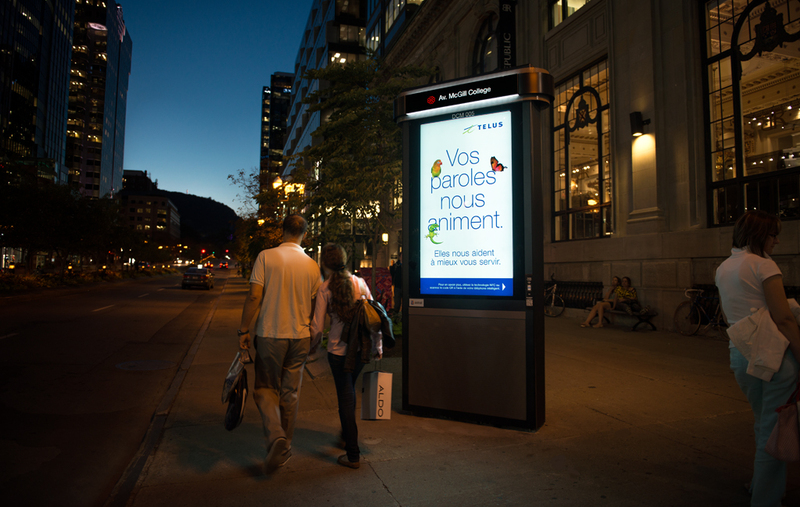 “The addition of Astral’s digital outdoor products further solidifies Campsite’s position as the leader in out-of-home programmatic solutions in Canada,” said Edith Gagné, Vice-President, Development, Campsite. “Buyers using Campsite’s DSP can expect the scale they need to effectively reach their campaign goals”. Astral, a division of Bell Media, is one of Canada’s leading out-of-home advertising companies with more than 30,000 advertising faces strategically located in the British Columbia, Alberta, Ontario, Québec, and Nova Scotia markets. Driving innovation on one of the country’s most dynamic media platforms, Astral is committed to staying at the forefront of the latest technological trends, offering advertisers the opportunity to deliver powerful messages that engage and connect with consumers. For more details, visit www.bellmedia.ca. Campsite, property of Campsite Global Inc., offers premium Digital Out-Of-Home inventory through a self-serve programmatic platform. Launched in 2016, Campsite’s core mission is to connect buyers and suppliers in an environment specifically designed for DOOH. Campsite DSP is an innovative solution for advertisers who want to expand their digital reach, optimize their strategies with data and maximize their time by reaching several suppliers through only one platform. Campsite SSP is an opportunity for suppliers to diversify their stream of revenues, increase their digital footprint in the industry and conduct business with a new range of clients. www.campsiteproject.com. Since its launch in 2016, Campsite’s mission has been to enable easy, seamless transactions for buyers of digital out of home media across all available suppliers. Campsite exposes inventory on an even playing field, with uniform audience data and geolocation targeting tools, allowing buyers to search all screens at once.